Because if you get down to Wynwood early on Sunday, you can get a great parking spot a few feet off the loading docks and it makes a world of difference when 6PM arrives and the fair ends and the dance of trucks and vans start to reload for the trips back home. Humanity crowded the aisles, but this was a "strolling" crowd... not really interested in art; while the aisles where crowded, the gallery booths were empty! The people chatted, interacted with each other, push their strollers and had a nice stroll with little peripheral interest in art. 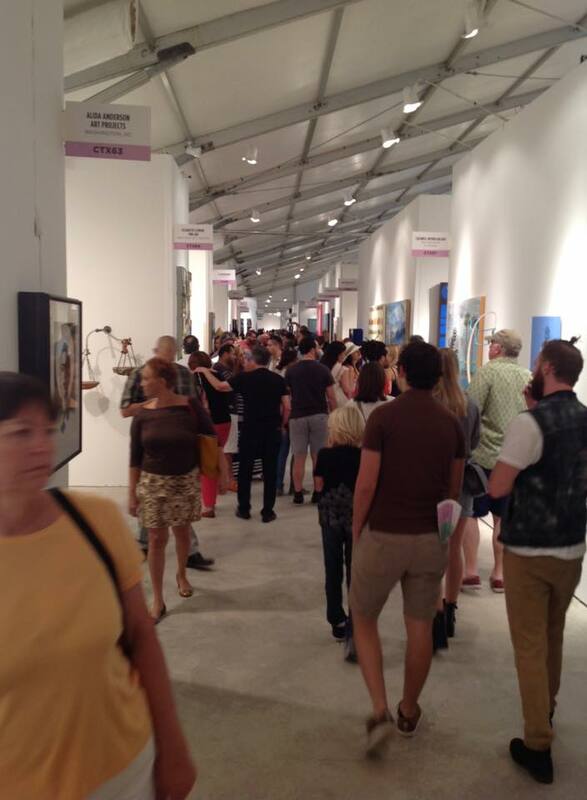 No matter: We've had a monster art fair - the two previous days set new records and at the end - the bottom line is that lots of new works of art by several artists (most of them from the DMV) have found new homes all over the planet. At six the fair ends... two minor sales all day. And at the end, a quick cursory look at the sales book indicates that this has been the best art fair that we've done in almost 10 years of doing art fairs! And the work is going all over the place, not just Miami/Florida area, but Germany, UK, Puerto Rico, Chicago, LA, NYC, Argentina, and one even coming back to DC! By 7:30PM we're packed and the gallery van is ready to go: new record from scrambling out of there! Tomorrow, wake up call is around 4:30AM in order to catch the flight back to Reagan National while Audrey drives the gallery van back to the DMV. Another ABMB week down the hatch.